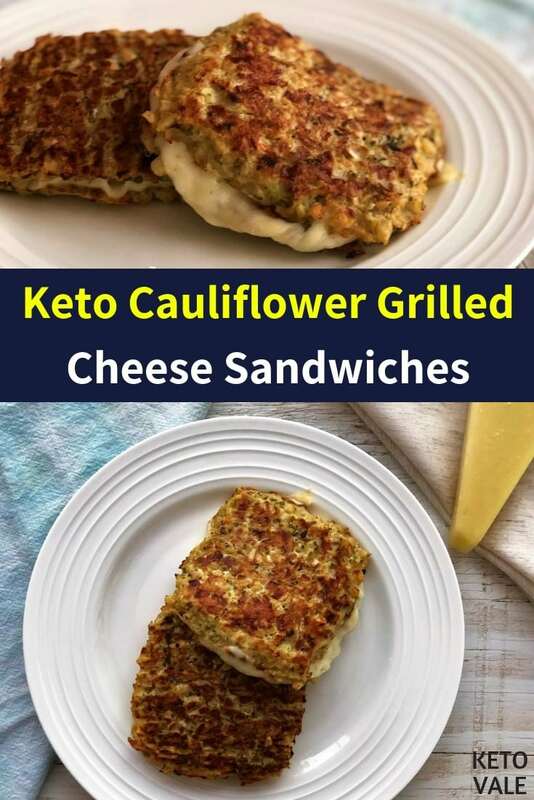 If you think once you go keto you have to dish out the grilled cheese sandwich, you are wrong! 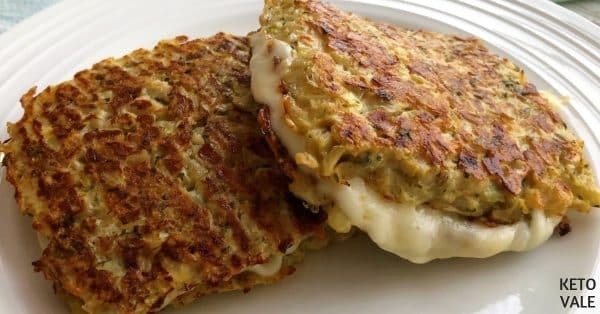 I know there are many keto bread options out there but this recipe is really amazing and delivers a crunchy yummy grilled cheese sandwich taste. The fillings, as any other cheese sandwich, can be anything you want. You can add veggies such as tomatoes and basil, you can use fresh mozzarella, cheddar, add some meat like ham, pastrami, salami…we can go on and on. And you can think, oh that is a lot of work for a sandwich that should be fast, right? But here is the trick, double the recipe and back the “slices”. Let it cool and freeze it with parchment paper in the between the slices. Once hunger strikes you can just pull it from the freezer and go straight into the “grilling” step. You can also use a panini machine and minimize the work even more. So yummy, that you have to try it! 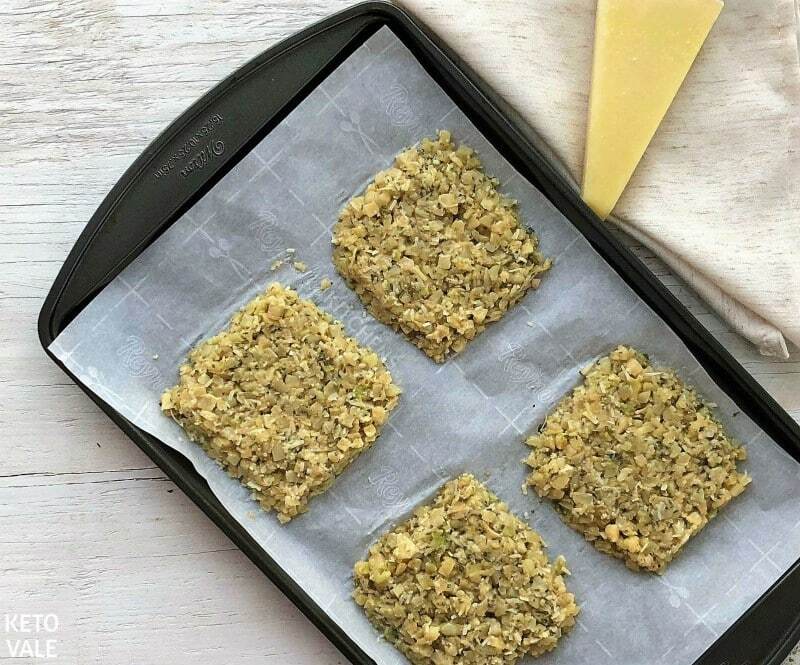 This is perfect for sugar-free, gluten-free and low carb diets too! To save time, we used premade riced cauliflower in a 14 oz package. It can be found in most big supermarkets. You can also make your own rice cauliflower by adding cauliflower in a food processor and process it until you get rice sized pieces. Cook the cauliflower in the microwave for 2 minutes, remove and mix to make sure it’s cooked evenly. Repeat 2 more times until it’s fully cooked then set aside to let it cool. Add the egg, Parmesan cheese, salt, and dried parsley in cauliflower and mix well. Divide the mixture into 4 square parts and put each part on the parchment paper on a baking sheet. The size of each square should be similar to the size of a sandwich slice. Bake each side for 15 min in the oven. Once done, remove from oven and place the cauliflower sandwich slices to a plate. Set aside. In a frying pan, add coconut oil in then fry the sandwich. Add your favorite fillings on the slice and cover with the other slice. Fry each side for 5 minutes with the lid on until the cheese is fully melted. Enjoy warm! 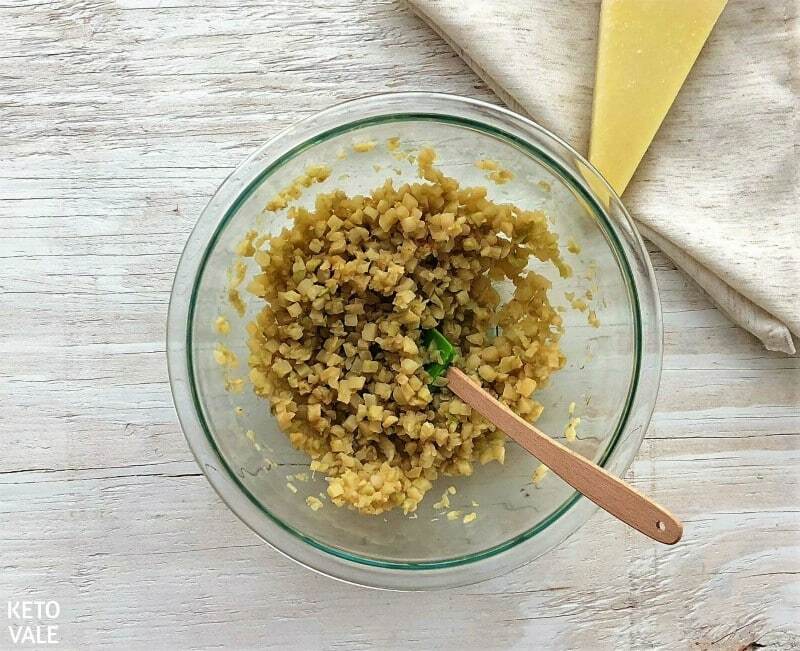 Place the cauliflower rice in a microwave safe bowl and cook the cauliflower in the microwave for about 6 minutes, 2 minutes at a time, mixing to ensure all grains are cooked evenly. Set aside and let it cool. 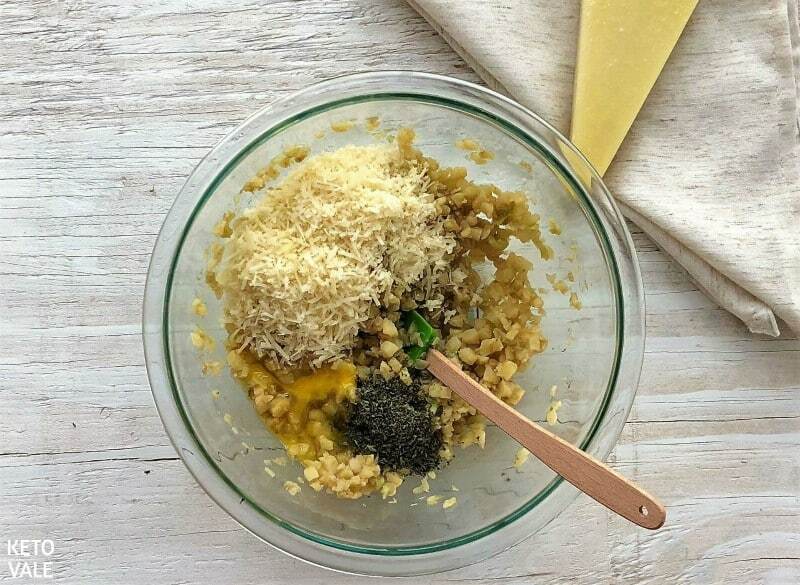 Once the cauliflower is cool add the salt, Parmesan cheese, dried parsley, and egg. Mix all until combined. Cover a baking sheet with parchment paper and split the mixture into 4 over the parchment paper. Spread each portion making squares of about 1/4 inch tall (you want to mimic the same thickness of a sandwich bread slice). Place in the oven and bake each side for about 15 min. Once that is complete transfer the cauliflower sandwich slices to a plate and set aside. 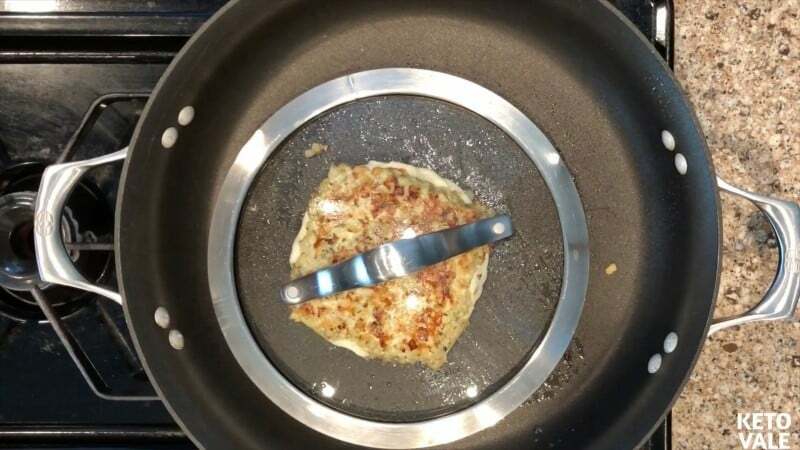 Using a non-stick frying pan over stove top, spray with coconut oil and add one slice, add your fillings (we used 2 slices of provolone cheese), and cover with a second slice. Cover with a pan lid and cook until the bread starts to golden and the cheese is fully melts (about 5 min each side). Enjoy hot!